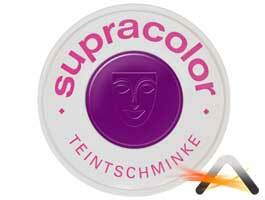 Fluorescent make-up (SupraColor), which use is for special effects only. This is not a cosmetic for an every day use. use This make-up reacts to black light. Apply thanks to sponge or paintbrush.